First of all is this fantastic Slow Cooker Fudge from Lukeosaurus and Me. What better way to use up any leftover chocolates from Christmas than to transform it into some fudge. In the past my fudge has been a disaster so now that I have seen this recipe I must try again! Being on a diet I was over the moon when I saw this free from Easy Protein Ice Cream from Healthy Helper. This creamy ice cream in gluten free, low carb, sugar free and even dairy free. Here is another recipe that will be going onto my to try list! Syrup and Glaze has transformed my favourite cake into delicious little raw bites! So now I really can have my cake and eat it but in a healthy version! Thank you, you have made my dream come true! Next up had to be these Speculoos Macarons from Casa Costello. So far macarons have been the one bake that I have not dared to bake. These sound so good, I really do need to keep an eye out for some Speculoos spread and get baking macarons! As soon as I saw that Baking Queen 74 had baked a scone with Nutella she had me hooked! Oh wow a Nutella scone, this sounds like heaven on a plate! All I can say is roll on treat day because I know that if I had a plate of this I would not be able to stop at just one piece! Last and certainly not least are these perfectly decorated Dark Chocolate and Bourbon Vanilla Steampunk Cupcakes from Elizabeth's Kitchen Diary. These cupcakes were baked to celebrate their second wedding anniversary. Two years ago Elizabeth had such an original and beautiful steampunk themed wedding. I love how these cupcakes symbolise their special day together. Now after seeing all six of these amazingly delicious recipes you will no doubt understand why I could not select just four recipes. 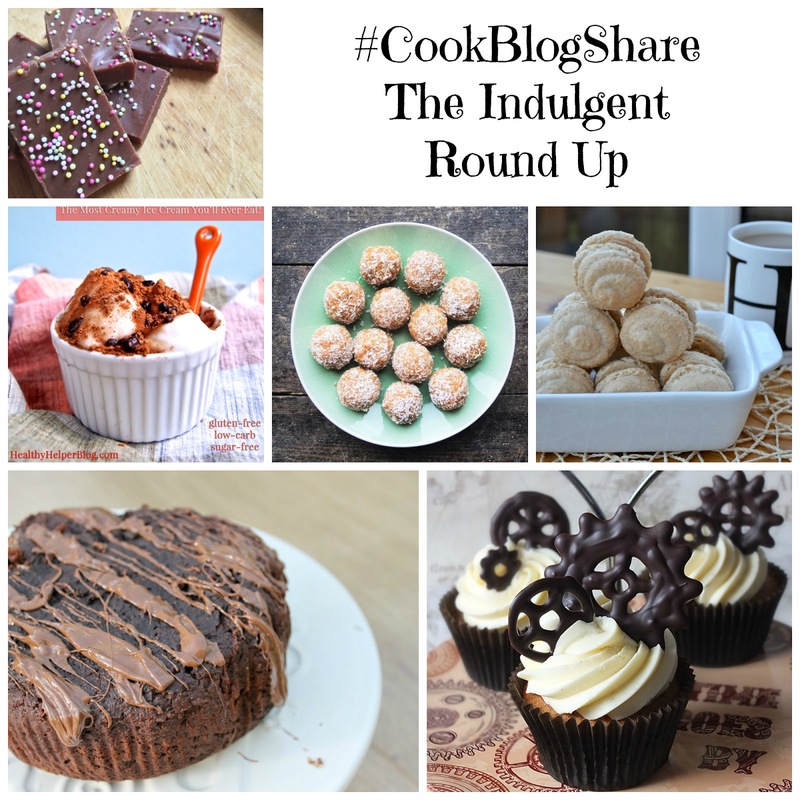 Thank you to everyone who joined in with CookBlogShare last week. This week the linky party will be over at Snap Happy Bakes. I cannot wait to see what you have been cooking up!